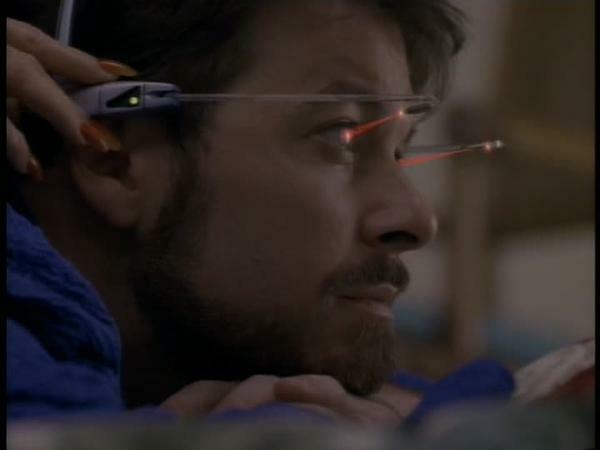 I think like many good nerds, when I first saw the proposals for Google Glass, my mind immediately jumped to the great Star Trek: The Next Generation episode “The Game.” In this episode, Commander Riker meets a Ktarian woman while on shore leave. She introduces him to a game that sets over one’s eyes and that is controlled by the mind. The actual gameplay is apparently simple, and the pleasure centers of one’s brain are stimulated whenever a level is successfully completed. It is, in short, addicting, and it quickly spreads throughout the crew of the Enterprise (except for Wesley Crusher and Ashley Judd, but you either know what I’m talking about or you’ll just have to watch the episode on Netflix). The operative premise behind the game isn’t really that far-fetched. In Alone Together: Why We Expect More from Technology and Less from Each Other , Sherry Turkle argues that the little beeps and dings that our digital devices give off are addictive, pulling our attention despite any apparent resistance. We become conditioned to want to know whatever it is that is going on our phones, and these dings are the bell that induces our salivating need to check our connections. Now with Google Glass, we not only have the dings, but we have the technology to keep a digital filter for the world right in front of our eyeballs. Google Glass is the best known example of a wider phenomenon known as “augmented reality.” Augmented reality refers to technological interventions that supplement our view of the world. Thus, instead of simply looking at a monument, my augmented reality filter (already accessible via several apps on smart phones) will show me the Wikipedia entry on the monument, reviews of nearby restaurants, or the names of constellations in the sky. A lot of conversation about Google Glass of late has been about privacy. While I think concerns about privacy are legitimate here, I (perhaps cynically) expect them to become like our collective concerns about privacy on Facebook – an uproar whenever something changes, but most everyone eventually giving in. At least theologically, I think it might be more valuable to think about how augmented reality might shape our understanding of embodiment. It’s a common trope to claim that the internet and other contemporary digital technologies are dis-embodying, but this typically overlooks how all of our interaction with technology are bodily experiences – ask anyone with carpal tunnel syndrome, vision grown hazy from the glare, or back sore from the office chair. Or, just do some people watching until someone runs into a person, tree, or sign while absentmindedly playing on the phone. These technologies do not disembody us, but they do created media or filters through which we encounter one another that were not present before. In some cases, this is a real gift, because without such a medium, that encounter might not have been possible: long distance relationships maintained or skyping with a newborn niece when a flight was unaffordable. These media are not inherently positive, though, nor are they simply neutral tools that we pick up and put down as we please. They shape our world and how we train ourselves to interact with one another. My regular use of texting has trained me in a particular form of interaction which, as it becomes more and more prevalent, in turn shapes the other ways I communicate (as a possibly harmless example, I now un-ironically say “brb” instead of “be right back” when spending time with friends). Google Glass too is an embodied technology. It takes the shape of glasses, it rests in front of the eyes, it will place a small amount of pressure on one’s ears, etc. 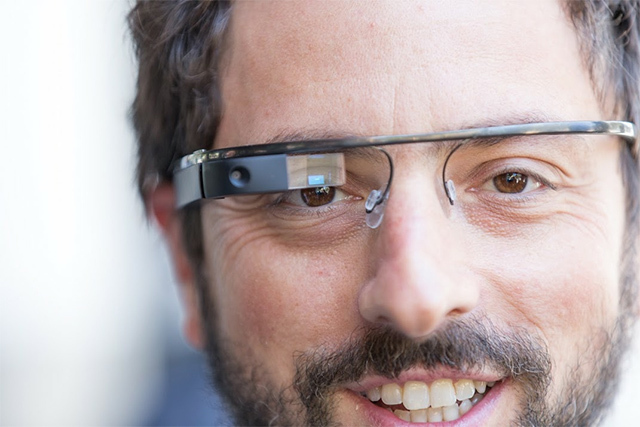 It will be voice-activated, by saying “Ok glass,” which requires the use of one’s vocal cords. And it will display information right in front of one’s eyes, although it will use perspective and so forth so that it does not feel like it’s oppressively in front of one’s eyes. All these facets demonstrate the embodied character of interacting with Google Glass. But it will also shape our embodied interactions with other persons and the world. It will present a CGI filter for what is in front of us. The phenomena of the world will no longer simply present themselves to our senses, but the devices will provide a layer of pre-interpretation of those phenomena for us. When out to dinner with my ladyfriend, instead of simply seeing that she is well dressed, the device might someday tell me what brands she is wearing, where I might find them at competitive prices, or what gifts I should consider getting her based on her wardrobe preferences. Beyond the ever-present problem of distraction, these sorts of information can turn my encounter with the other person into another opportunity for advertising or sales. They can try to reorient my view of the other into a venue for consumerism. They can encourage me to objectify, through the objects it draws my attention to or through the placing of the entire encounter within a game (as was suggested by the short film above). These are not necessary outcomes. These are not even necessarily possible outcomes at this early juncture; only future possibilities. And the responsibility for my engagement with such technology rests with me. But the risk of new technologies, especially the portable, powerful, and pervasive ones like mobile phones and (someday) augmented reality glasses, is that we will consent to their dominance without reflecting on what that means. Augmented reality is a new-ish technology that has just that potential for reshaping how we engage with our world and with each other. It creates a new filter, one that might be beneficial, but one that might also cost us certain experiences. Having a GPS is a Godsend when I’m in a hurry, but having it always available on my phone has helped me develop the habit of never getting lost when I’m out for a walk. It’s harder for me to enjoy the pleasures of discovery because my phone has already found everything for me. This is still firmly in the realm of my own choices – it seems oddly anthropomorphic to blame the technology – but the devices create new possibilities that I can choose, often uncritically. As with all new technologies, the course I would recommend is self-reflection; don’t let the ease or convenience of new abilities override the need to think about how we might change in light of them. My return to the Daily Theology blog after a few months off for dissertation wrap-up. This is my initial foray into questions of digital technology and embodiment, with a focus on Google Glass and filtering. With some Star Trek thrown in.